FABULOUS ARCHITECTURALLY DESIGNED CUSTOM BUILT HOME. OVER 4100 SQ FT, located in most desirable neighbourhood of MACKENZIE HEIGHTS. BEAUTIFUL STREET APPEAL. 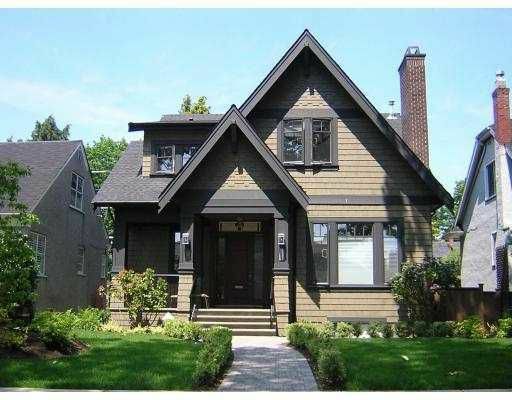 CLOSE TO WELL KNOWN SCHOOL, POINT GREY HIGH SCHOOL, CROFTON & ST. GEORGE'S PRIVATESCHOOL, UBC, SHOPPING. Truly this beautiful, well built QUALITY CHARACTER HOME OFFERS the ultimate in luxurious modern living. Features 5 bdrms, 7 washrooms, main floor with 10' coffered ceiling, ext. use of H/W floors thru-out. Open large gourmet kitchen with high-end kitchen cabinetry & appls, granite countertops with oversized island & eating area which leads out to a huge deck equipped with gas BBQ hook-up. HOME THEATRE, WET BAR, WINE CELLAR, HRV, A/C, SECURITY SURVEILLANCE SYSTEM. MUST SEE!